Shawn has strong beliefs that education must persist because somehow, someway, the ideas eventually get through and then that makes a difference. 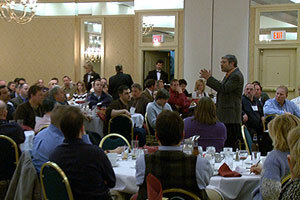 Shawn’s efforts at educating within the remodeling industry have touched thousands of lives with ideas and practical solutions from his own real life in-the-trenches experience. Shawn’s innovative work in the remodeling and building industry stands as a testament to prove that he can train others effectively and that his teaching addresses the real challenges business owners and employees experience. Shawn, in a variety of ways, helps serious contractors regain control of their lives by working with them to identify and achieve their business and personal goals through the implementation of profit building systems and procedures that put the fun back into success. Shawn’s services and products are designed to help remodelers and their employees avoid the disappointing, costly and time-consuming effects of the trial by error approach to business development, project design and project delivery. Shawn researches, studies and has a keen understanding about the remodeling industry and about remodelers. In addition to working with remodelers, Shawn offers training, consulting, custom video productions and education programs for the the supply chain and other businesses working in and for the remodeling industry. “I find myself back at my desk this morning all charged up to implement the systems that it will take to sell the projects I want, and at my price. Thanks for your excellent seminars. I feel that I have so much ground to cover that there was value both in the general as well as particular points that you made. Lines like "Don't be an order taker" or "You make money by selling not building" offer fundamental advice that's gonna be helpful forever. "I wanted to let you know how much I appreciate your services." 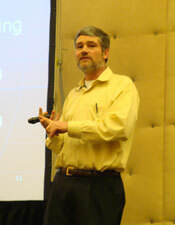 The other day I attended a short seminar on mold put on by an insurance company for builders and remodelers. It stunk. You have raised the bar on teaching for the remodeling industry. You do a great job of presenting useful information in a clear and concise way. I consider you a tremendous asset in helping me develop my business and its efficient operation. The investment made in your courses have paid tremendous dividends in the profitability of my company. Feel free to use this as a resounding endorsement for other contractors considering your classes. Thanks for your help.